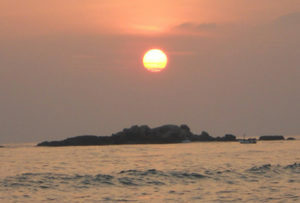 Sergeant House is situated in the village of Ganahena, at the edge of Unawatuna. 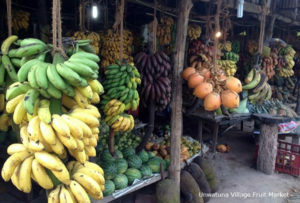 The simple well kept cottages and gardens of the village dot the surrounding hills and coastal strip. 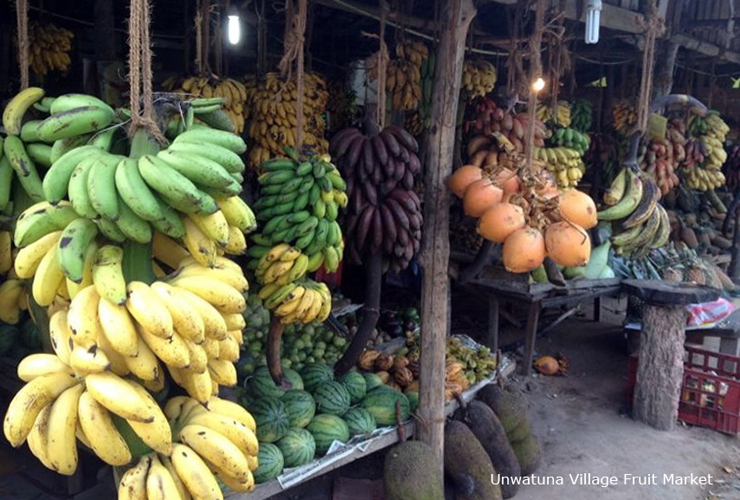 Their gardens are full of coconut palms, fruit trees, vanilla vines, vegetables and herbs. They paint an idyllic picture of a verdant tropical scene. Within a few minutes of leaving the coast, the brilliant green of new rice shoots in the paddies can be seen in the valley floors whilst low land tea plantations are located on some of the hillsides. 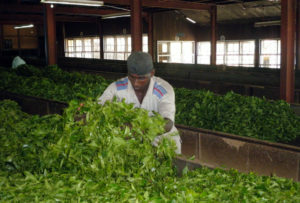 Some of these tea plantations are close by and can be visited if you are keen to explore the process of tea growing and processing. This is one of Sri Lanka’s top export industries and ‘Ceylon’ tea is synonymous with quality around the world. In addition to the tea estates, cinnamon plantations are widely seen and were the reason many seafaring nations such as Portugal, Holland and China visited Sri Lanka’s shores over the last four centuries as they exploited this resource. 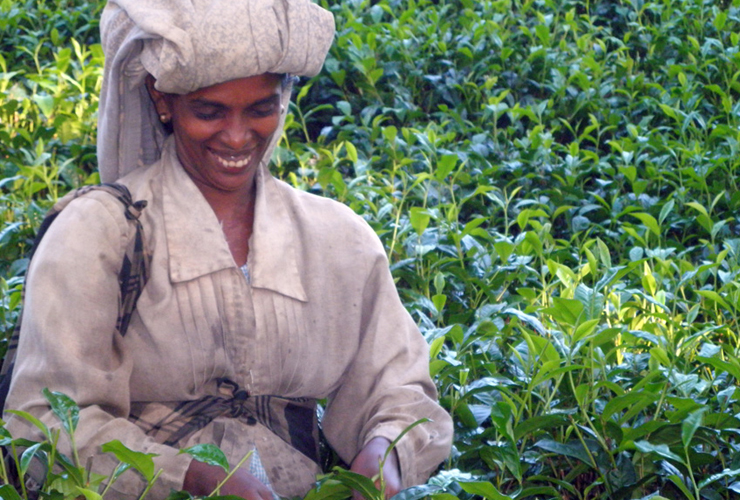 Ongoing world demand has continued to sustain it as a plantation crop since this time. Or you may wish to simply enjoy Unawatuna Beach, a three minute walk away, or use Sergeant House’s kayaks to explore the coast line and estuaries. A short trip south along the coast to Marissa is a wonderful way to spend the day. It takes approximately 40 minutes if you head there directly from Sergeant House; however the coastline is full of interest and is worth a full day. There are numerous beautiful beaches and sheltered coves along the way. 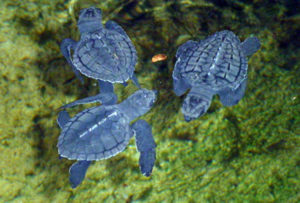 If the tide is favourable you may see the unique stilt fishermen as you venture out from Unawatuna to Weligama or visit the turtle hatchery trying to ensure that the 5 species of turtles found along the coast of Sri Lanka survive. 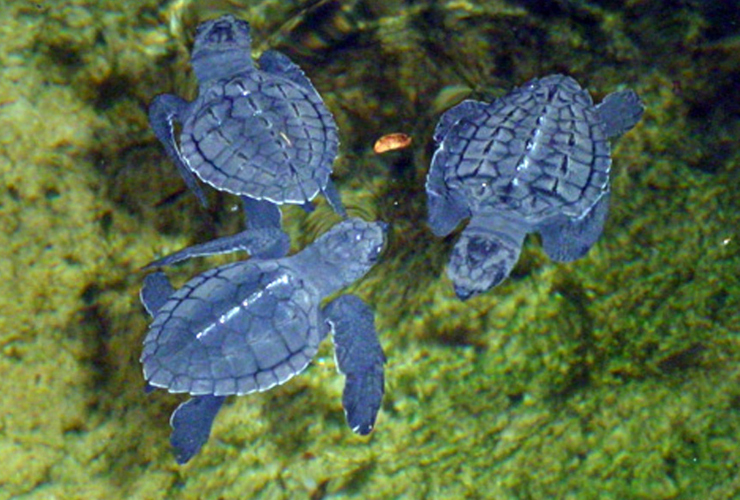 Better still, relax with a cool drink at a seaside cafe and watch the turtles pop their heads up at the edge of the reef. If you are staying at Sergeant House between December and April you may also spot Blue Whales off the coast on your way to Marissa. Blue Whales are the largest living mammal on earth and are an awe inspiring site seen close up with their blowholes emitting water up to 10 metres or more into the air as they surface to breathe. 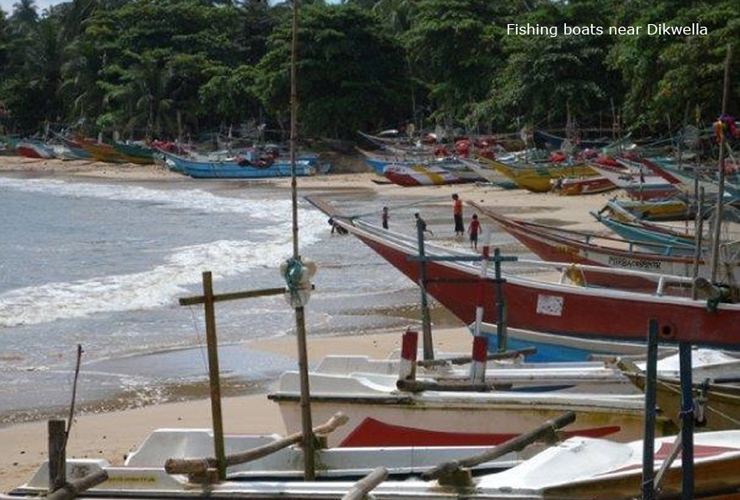 At Mirissa Harbour you can board a boat restored for leisure cruising and head north to Weligama Bay. The whales cruise close to the coast here and sometimes enter the harbour. Guests aboard can swim and snorkel from the boat, watch for whales and dolphins, fish or have a picnic in a small attractive cove. If you are interested in exploring this idea further we can assist with bookings for the trip. 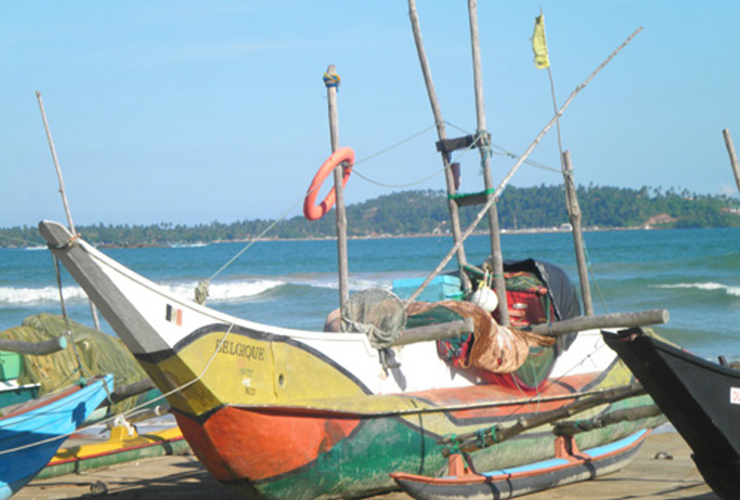 One of the most picturesque sights along the coast are the hand crafted, colourfully painted, fishing boats north of Weligama and in many small sheltered inlets. Their design, craftsmanship and riot of colour combined with sight of the fishermen as they haul and mend their nets, sort their fish and sell them on the foreshore is an alluring experience. 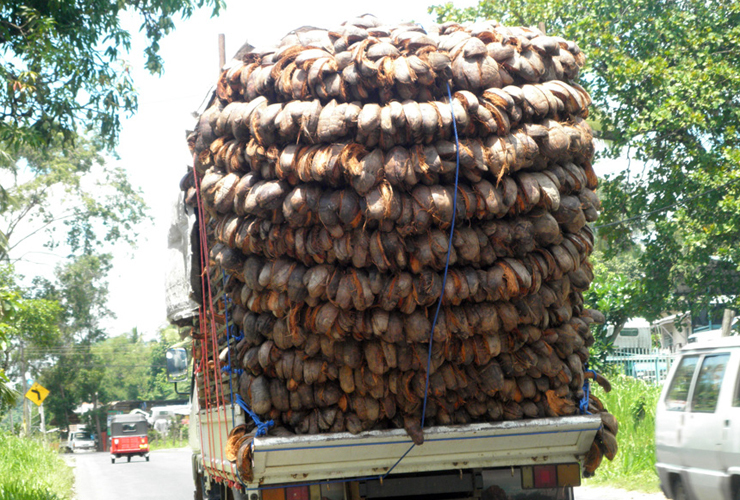 Venturing a few kilometres further on from Weligama, is the beach of Marissa. 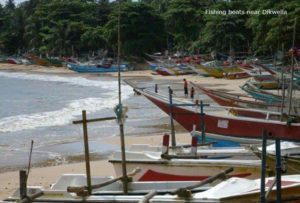 The beach is less developed than Unawatuna with stronger(less safe) surf and currents but it’s clear waters and quiet, low key development make it a popular place for day trippers and surfing enthusiasts. 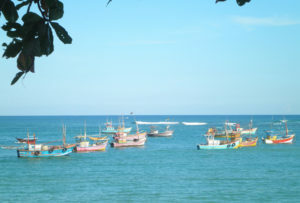 While away a few hours in the sun or lie in the shade of the coconut palm fringed cafe watching the waves as they break around the point and the sun glistens off the water. 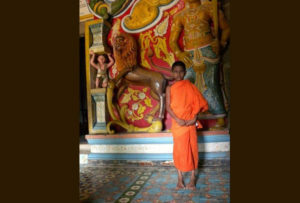 There are many temples located across Sri Lanka. 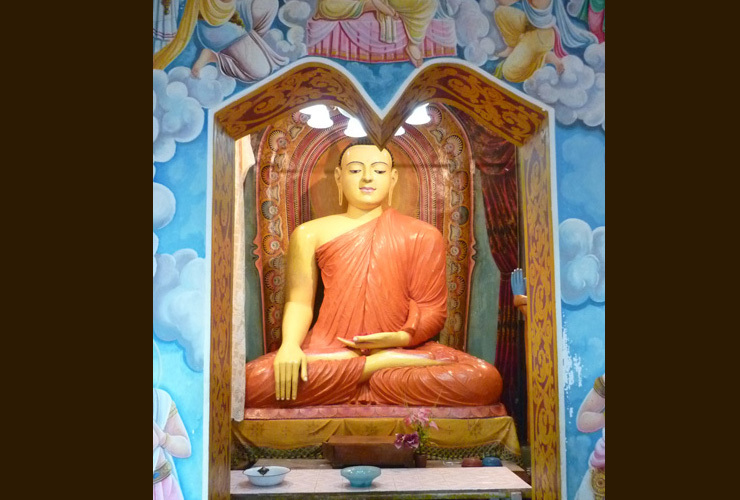 Buddhism is the dominant religion and is highly entrenched into the thoughts and life of most Sinhalese. 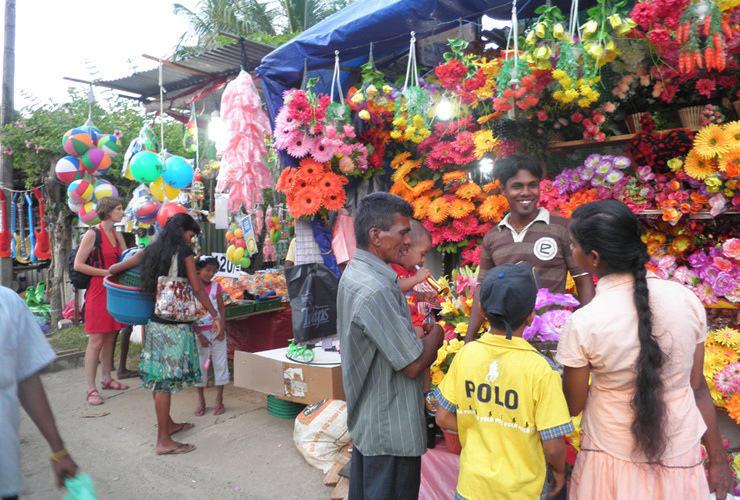 A much smaller percentage of the population (about 15%) are Hindu, Muslims (9%), and Christians (about 7%). 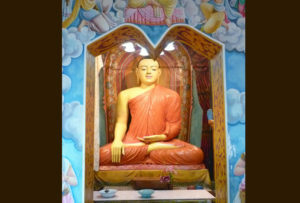 We are fortunate that two very significant Buddhist temples are located within 10- 15 minutes of Sergeant House. 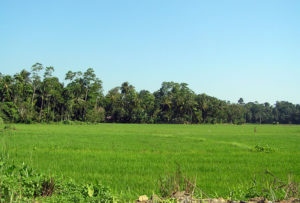 Yatagala Temple (or more correctly, Yatagala Raja Maha Viharaya) is located just inland from Sergeant House on a hill top above a serene setting of paddy fields, tropical vegetation and small village hamlets. 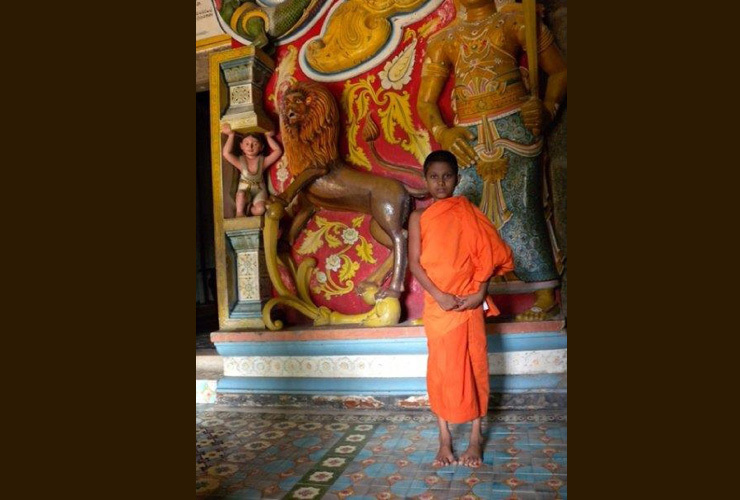 The site could be 2,300 years old but the current temple is thought to be approximately 1,200 years old and has had royal patronage of three Sri Lankan kings. 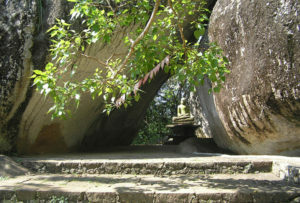 It is built in and around a group of massive granite boulders and the statue of Buddha is set in an overhang formed by the boulders. 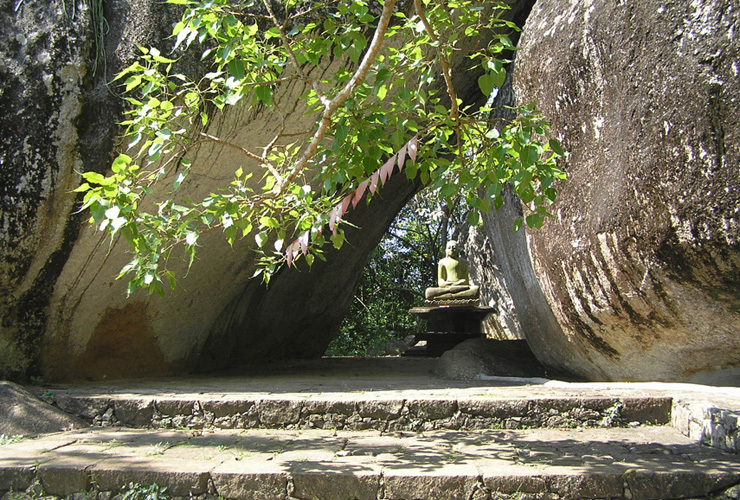 The large Bodhi Tree forming an umbrella over the temple is believed to be a sapling of the revered Sri Maha Bodhi tree planted under the reign of King Devanam Piyatissa of the Anuradhapura Period. By contrast, the headland forming the divide between Unawatuna Beach and Galle Harbour is known as Rhummasala and this has a new Buddhist temple built with funds contributed from Japan following the destruction of the old temple in the 2004 tsunami. The temple has a striking elegance and simplicity. Visitors are welcome to visit. 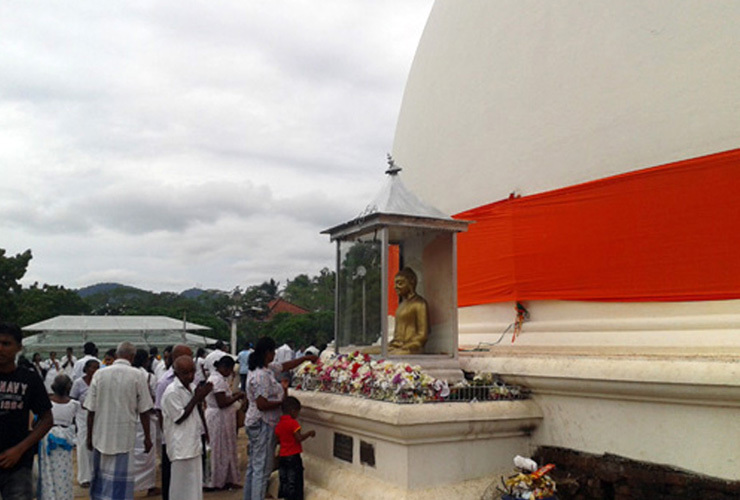 From the temple there are panoramic views of Unawatuna, Galle and the Indian Ocean. If you are close by on Poya Day (full moon) you can observe puja by offering flowers and incense. (Please observe temple etiquette.) It should be noted that Rhummasala is also sacred to Hindu’s who believe that this headland is associated with the Ramanaya.